Today's guest blogger is Alana Andrews. Alana is a Medical Aesthetician and Laser Specialist who has been working in the beauty industry for 10 years. She is my personal "go to girl" for all of my aesthetic services here in Austin, TX. Many thanks for today's contribution! 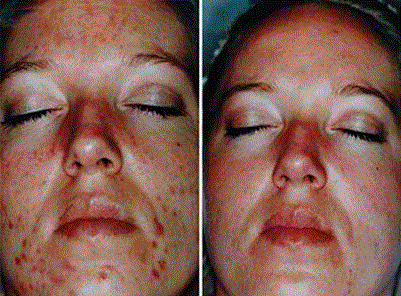 LIGHT: This is a surface only chemical peel. A light peel will include such ingredients as lactic, glycolic, salicylic acid and a few other natural exfoliators at a low %. These peels should not have any recovery time or flaking/peeling of the skin. MEDIUM: This is a peel that will penetrate deeper into the skin. They typically will have a higher % of the same ingredients and often times may include more than one of these ingredients. Stinging upon application can occur in some cases. Recovery time can occur (depends on the % and individual) and can include redness, flaking, and or peeling of the skin lasting for a few days. DEEP: This is a peel that penetrates deep into the skin. A deep peel will include such ingredients as TCA, Retin A, phenol, and/or Jessner at 20% or higher. Stinging will occur once the peel is applied to the skin (amount depends on peel and individual) and a down time of up to 10 days is expected including redness, flaking, and peeling. The category of the peel will typically effect the achieved results. 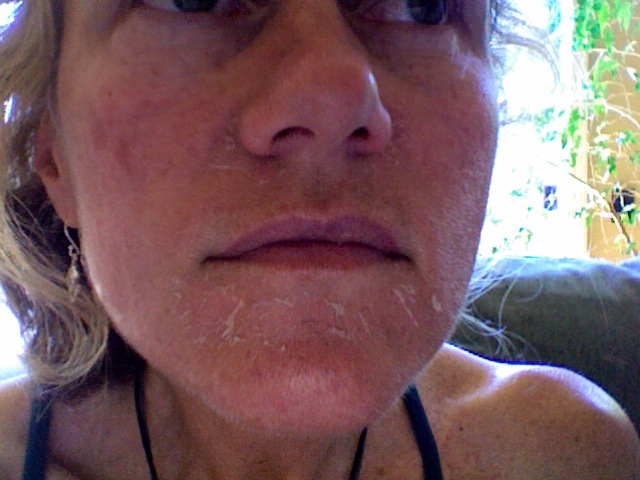 The peeling can be very intense. Here are a few examples below. Do keep in mind that every individual responds differently. There is more to the process and you should always discuss the risks of chemical peels with a licensed professional. Risks include: Burning, Hyperpigmentation, Hypopigmentation, Scabbing, and Scarring (if proper care not taken). 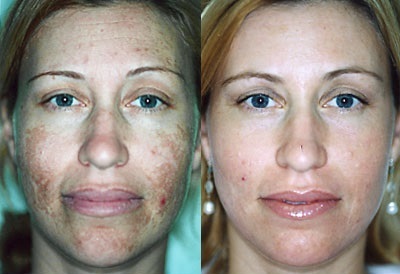 You should ONLY have a chemical peel performed by a licensed professional and after a consultation. The results speak for themselves! Check out these BEFORE and AFTERS! If you have any questions, please feel free to respond to this blog and I will be happy to assist you. Again, many thanks to Alana for today's blog! If you are in the Austin area, Alana can be reached for a complimentary consultation at Austin PhotoFacial 512-468-7502. Winter is a great time to do a peel due to less sun exposure...so call for your FREE consultation today! Had a quick question....is there any prep time with these as well? Hi there and thanks for following! It depends on the peel. A LIGHT peel is sometimes even referred to as a "Lunchtime Peel" because it is quick and required no prep time. If you are doing a DEEP peel, then I do typically have my clients prepare the skin for an even better result by prescribing certain products to be used between a week and two weeks before the peel is applied.